her eyes are flush broken compasses. Lost between age fifteen and fifty. I do not look into her ocean. The fish there float to the bottom. Banging on the back door of a black hole. These poems are at best depressing and at worst horrifying. These sparkling actresses are snuffed out by the pressures of Hollywood, but they also have their own demons chasing them. Tamblyn’s sense of the tragic is acute when exposed in lines like these: “But first she said, I’m sorry, Charles, it’s over between us,/tied together the sheets of their love letters,/climbed out the window of his soul.//” (from “Dominique Dunne,” pg. 25) and “I’m going to floss my teeth with the public hair/of the Hollywood night air,/memorize my lines before I snort them.//” (from “Bridgette Andersen,” pg. 30-1) These women’s lives and those of living actress continue to become objectified, and it’s hard to imagine living with that on a day-to-day basis. In many ways, the collection almost suggests to those female actresses who have lived in Hollywood longer, continue to work, and do not fall into a spiral of depression that they are the exceptions. There is a sense of fight in these poems, as if Tamblyn is calling attention to these tragic stories not only to encourage female actresses to shun these arbitrary pressures, but also to call attention to the public’s role in these tragedies. Celebrity lives have become fodder for the American public, and these poems want to demonstrate the darkness that can follow such attention. 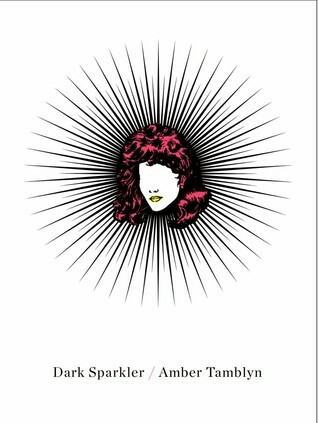 Dark Sparkler by Amber Tamblyn is an ambitious collection of poems that will have readers thinking about their own roles in celebrity gossip and objectification. Amber Rose Tamblyn is an American actress, author and film director. She first came to national attention in her role on the soap opera General Hospital as Emily Quartermaine. 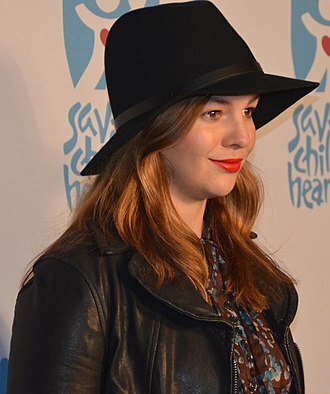 She also starred in the prime-time series Joan of Arcadia, portraying the title character. Her feature film work includes roles in The Sisterhood of the Traveling Pants, The Grudge 2, The Ring, and 127 Hours; she had an extended arc as Martha M. Masters on the main cast of the medical drama House, M.D. She also had a starring role on the CBS sitcom Two and a Half Men during its eleventh season as Jenny, the illegitimate daughter of Charlie Harper. 1. The Cherry Harvest by Lucy Sanna from William Morrow for review. 2. Dark Sparkler by Amber Tamblyn from Harper for review. 3. 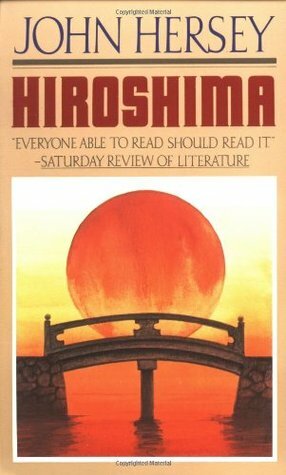 Hiroshima by John Hersey from the library sale for 50 cents. 4. 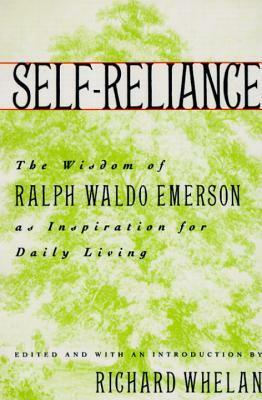 Self-Reliance by Ralph Waldo Emerson, edited by Richard Whelan from the library sale for 50 cents. A finely honed abridgement of Emerson’s principal essays with an introduction that clarifies the essence of Emerson’s ideas and establishes their relevance to our own troubled era. This is the first truly accessible edition of Emerson’s work, revealing him to be one of America’s wisest teachers. 5. 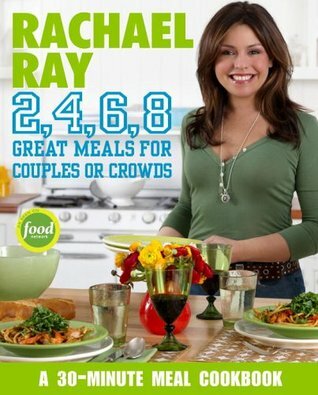 Rachael Ray 2, 4, 6, 8 Great Meals for Couples or Crowds from the library sale for 50 cents. 6. 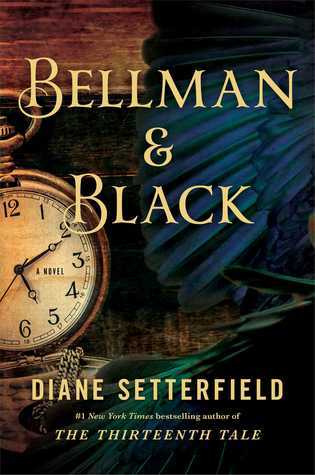 Bellman & Black by Diane Setterfield from a friend. Bellman & Black is a heart-thumpingly perfect ghost story, beautifully and irresistibly written, its ratcheting tension exquisitely calibrated line by line. Its hero is William Bellman, who, as a boy of 11, killed a shiny black rook with a catapult, and who grew up to be someone, his neighbours think, who “could go to the good or the bad.” And indeed, although William Bellman’s life at first seems blessed—he has a happy marriage to a beautiful woman, becomes father to a brood of bright, strong children, and thrives in business—one by one, people around him die. And at each funeral, he is startled to see a strange man in black, smiling at him. At first, the dead are distant relatives, but eventually his own children die, and then his wife, leaving behind only one child, his favourite, Dora. Unhinged by grief, William gets drunk and stumbles to his wife’s fresh grave—and who should be there waiting, but the smiling stranger in black. The stranger has a proposition for William—a mysterious business called “Bellman & Black”.